Black Friday. Sounds ominous doesn’t it? Like one of those catastrophic financial crashes that plunge us into a once in a generation recession and have us all living in cardboard boxes by Christmas? Well Black Friday is upon us – and it’s all about the crash…….in prices. In the same spirit as the more familiar Christmas sales kicking off on Boxing Day, Black Friday came to be known in America as the day after Thanksgiving when US retailers slash their prices for a pre Christmas shopping bonanza. The origins of the term date back to 1869 when it was indeed used to name a particularly tragic day on the financial markets, though modern usage developed in Philadelphia when it was used to describe the chaos of the post Thanksgiving scramble. Slowly, retailers seized on the idea of a shopping day with a tongue in cheek name that also represented them trading ‘in the black’, and since 2004, it has been the busiest shopping day in the United States. What with globalization shrinking retail culture and cross fertilizing, the United Kingdom is also seeing some of the benefits trickle down to its shores. 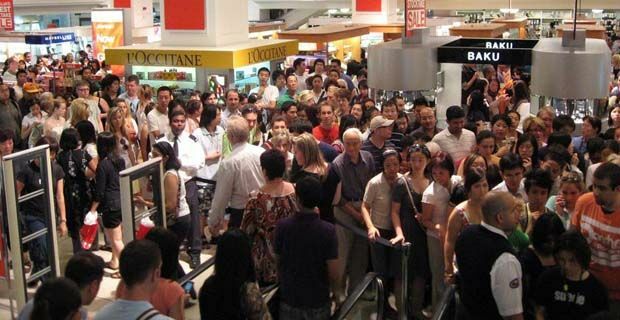 Unlike the US where Black Friday is actually a Bank Holiday, the scaled down UK version won’t result in the same dash for bargains in the high street, and the elbows out, guerilla warfare of the Christmas sales are unlikely to materialize as shops keep the powder dry and their prices stable. But in the world of online retail, international players such as Amazon and Apple are bringing the benefits direct to the UK customer in time for a strategic bit of Christmas shopping. This year, Black Friday in on the 23 November. A visit to online portals such as Amazon, or global US brands websites such as Apple, ought to result in some superb bargains to allow the coast into carol season to be that much less painful on the wallet.